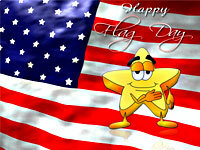 Flag Day commemorates the occasion when the national flag of the United States of America was adopted. 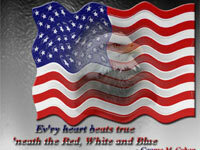 A patriotic holiday, it is celebrated in the same spirit as American Independence Day, and is an occasion of great pride for the American people. 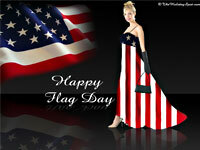 Celebrate Flag Day with a range of stunning, thematic wallpapers that will help you bring the festivities alive onto your desktop with greater ease. 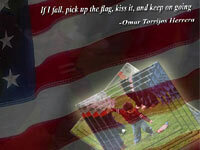 Set these free Flag Day wallpapers on your PC screen and if you like our collection, click here and share it with your friends and dear ones. 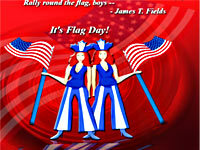 Enjoy a merry Flag Day celebration with all you love! 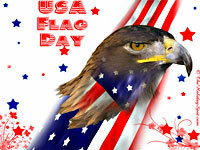 Tip: Below are thumbnails of seven exclusive wallpapers for Flag Day. 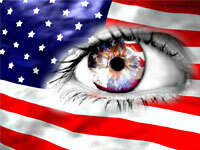 Choose any of these fabulous Flag Day wallpaper images and click on any of the links alongside it to get it in the size you need for your desktop. After the image loads fully in a new window, right click on it and select "Set as Desktop Background" to set it as your PC screen backdrop. 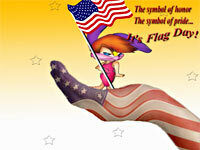 To send it online to your friends as a Flag Day gift, click on the link that appears above the wallpaper image when it loads in a new window.